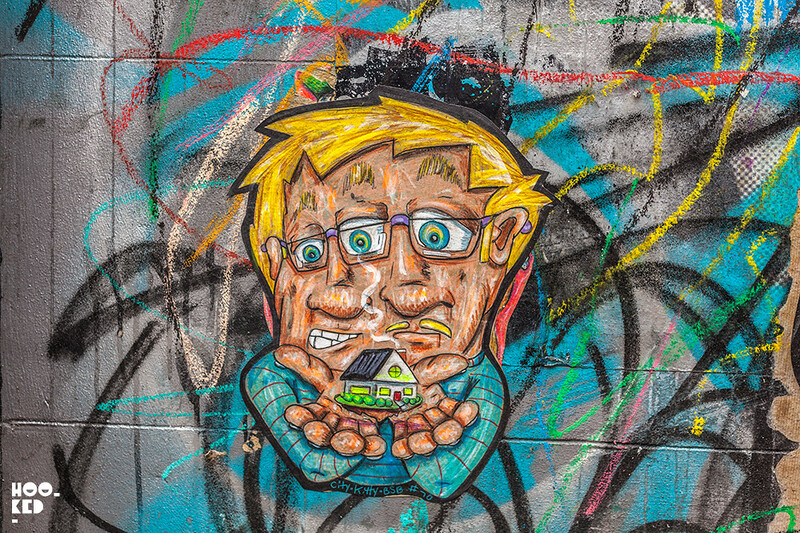 The cat-loving New York based street artist City Kitty recently passed through London and took some time to hit up some of the cities street art hotspots around East London. 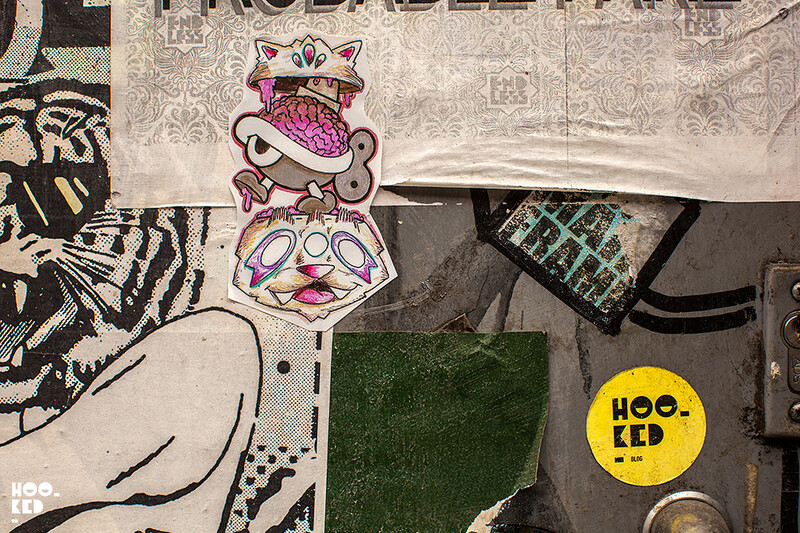 Installing a series of wheat-pasted posters around the Shoreditch and Brick Lane neighbourhood we discovered a selection of the work by the artist, many featuring his signature cat characters. 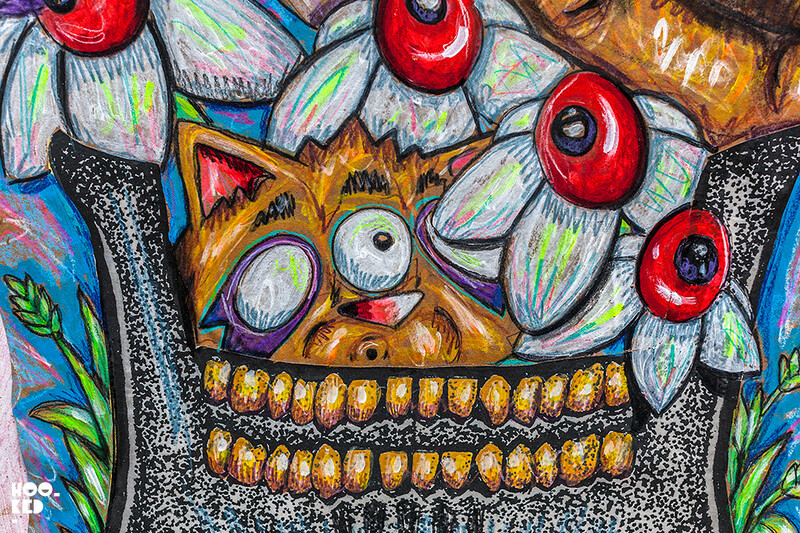 With so many street artists in London installing photocopied/ digitally printed black and white copies of the same images over and over again in multiple locations, it's always refreshing to see the work of street artists like City Kitty who goes the extra mile with his hand coloured pasteup works. 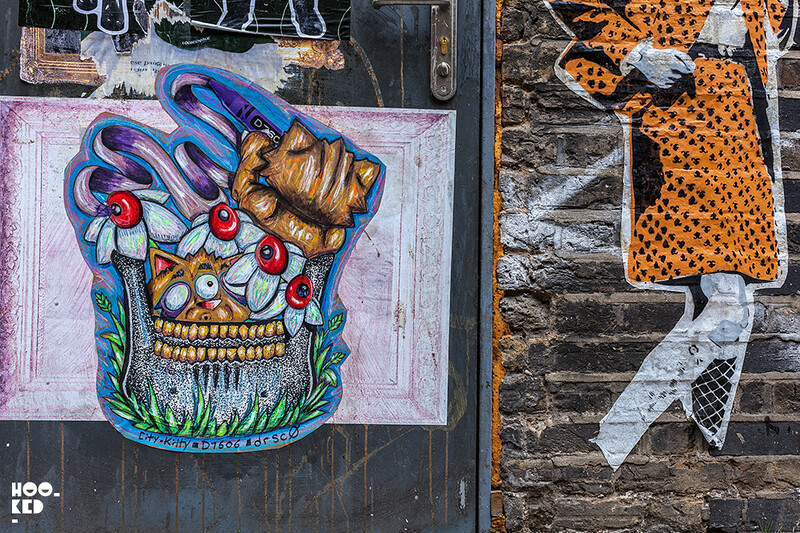 City Kitty is no stranger to London streets and the artist has regularly visited the city, we last saw him in town back in August 2016 and featured a collection of his street art pasteups on the website in this other City Kitty blog post. 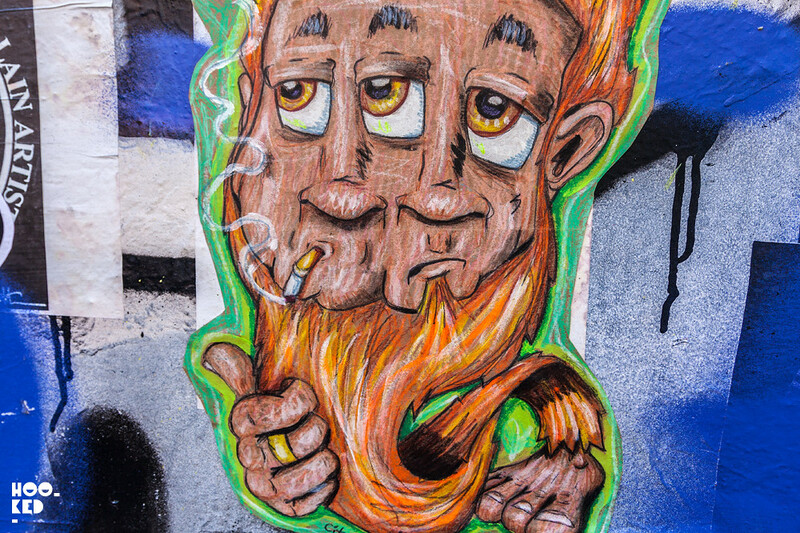 Check out the recent additions in our latest photo collection of City Kitty's street art works below. 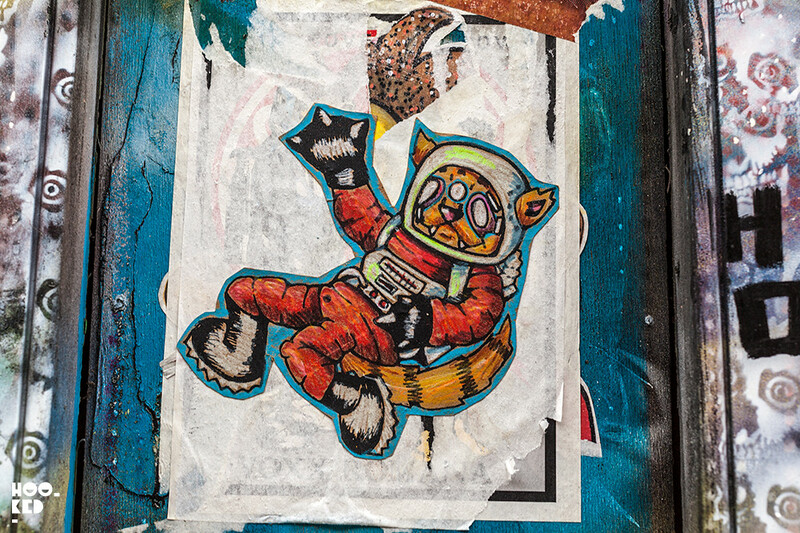 Minature hand coloured astronaut space cat paste up by City Kitty. 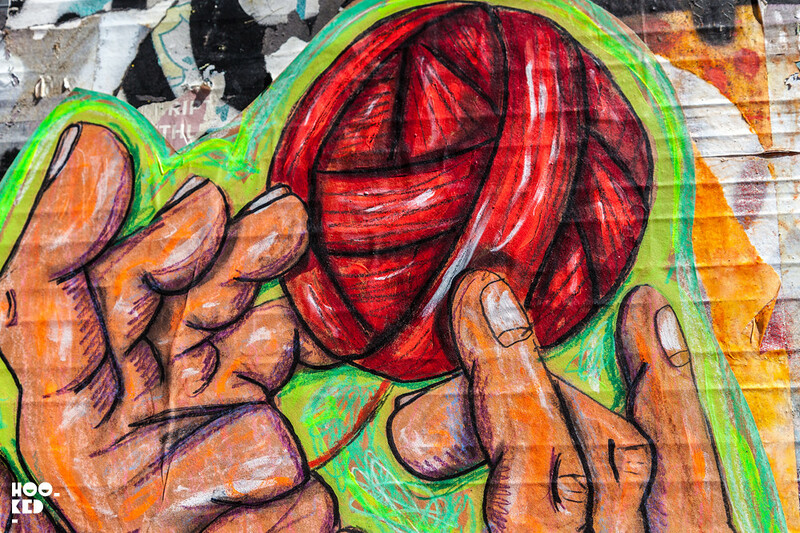 You can find this work located on Buxton Street in East London. 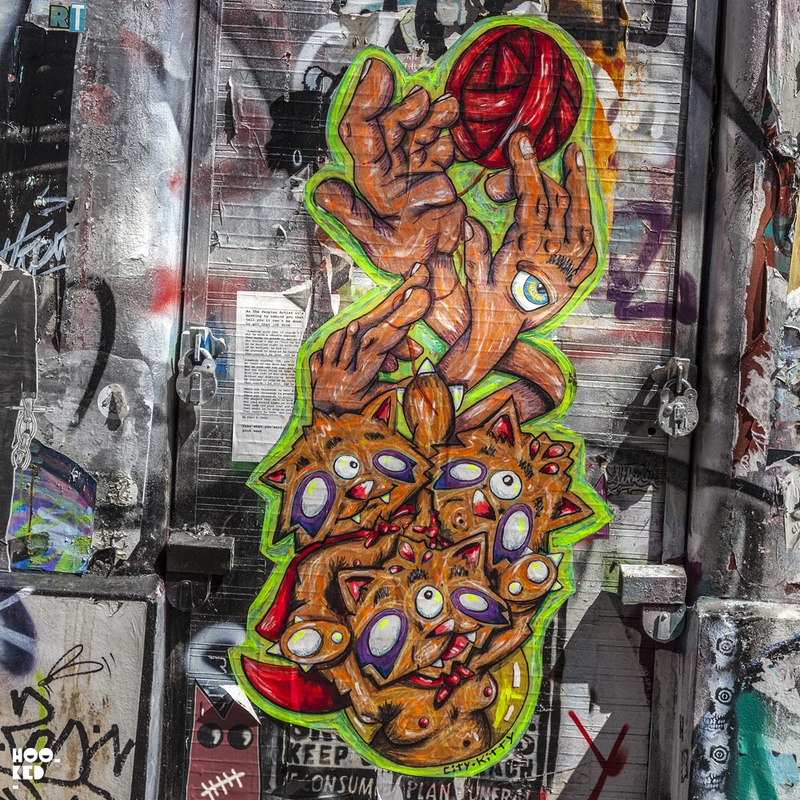 This City Kitty pasteup can be located just off Brick Lane in the ever popular street art hotspot the Star Yard. 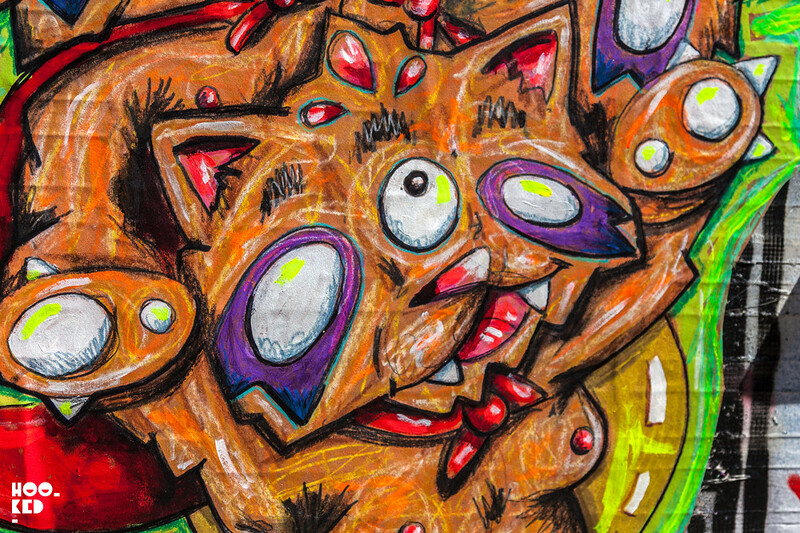 The street artist City Kitty is well known for his collaborative works with other street artists around the globe, combining his cat characters with those of other artists. 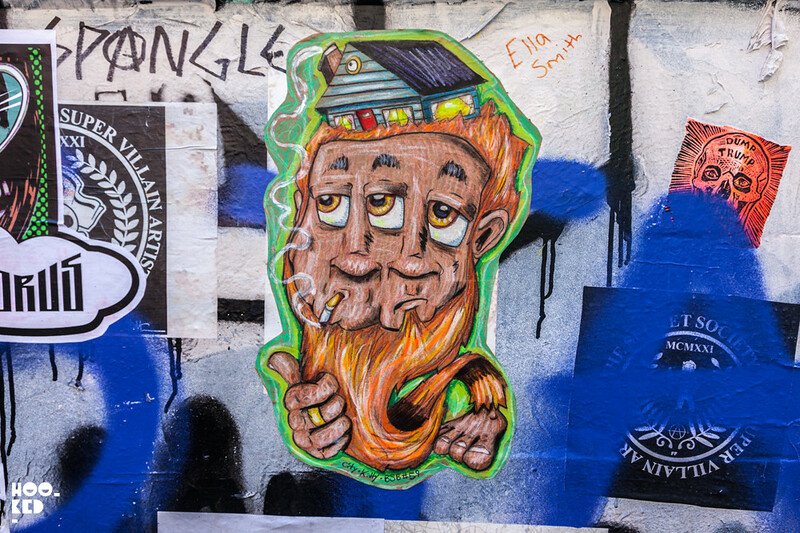 On this visit we see the artist collaborate with UK street artist D7606 aand Dr Scott (pictured below) and another above sees the artist working with Turtlecaps.